Fact: Fragrance tends to be polarizing. In addition to the obvious preference of certain notes and scent profiles over others, the science of it is just as personal—our body chemistry alters the way fragrance sits on our skin, leaving more opportunity for discernment and disapproval. Another fact: Team Byrdie is a very opinionated bunch. It’s not uncommon to find us debating the merits of a certain lipstick, or breaking into a lively argument about whether a cult-loved serum really is worth the hype. So it goes for the highly discriminative realm of perfume—we stand by our favorites; in rare cases, two or three editors finding common ground on one scent or another. And yet, since last spring, our nook in our LA office has consistently wafted the same heady floral fragrance, to the point that it might as well be our official mascot. Amongst our editorial crew, we don’t even need to ask—one whiff and the exclamation is just an appreciative “Yesss, who sprayed Carnal Flower?” The evidence of this familiarity is obvious in a recent blind sniff test we held for Facebook Live, in which four Byrdie editors had to identify different products through scent alone, while blindfolded. Carnal Flower was one of the few that we unanimously knew without hesitation. The final and perhaps most telling exhibit of our undying devotion is the fact that we actually have multiple formulations of the fragrance on hand. Associate features editor Amanda keeps the classic eau de parfum ($380) in her desk drawer, while the hair mist version sits on my desk with all the other beloved products I use on a daily basis, always in arm’s reach. I’m particularly smitten with this take, since fragrance tends to stick better to our hair than our skin, our strands acting as diffusers with every subtle movement. And if perfuming our locks is a rather romantic, luxurious notion, then there’s probably not a more fitting fragrance. 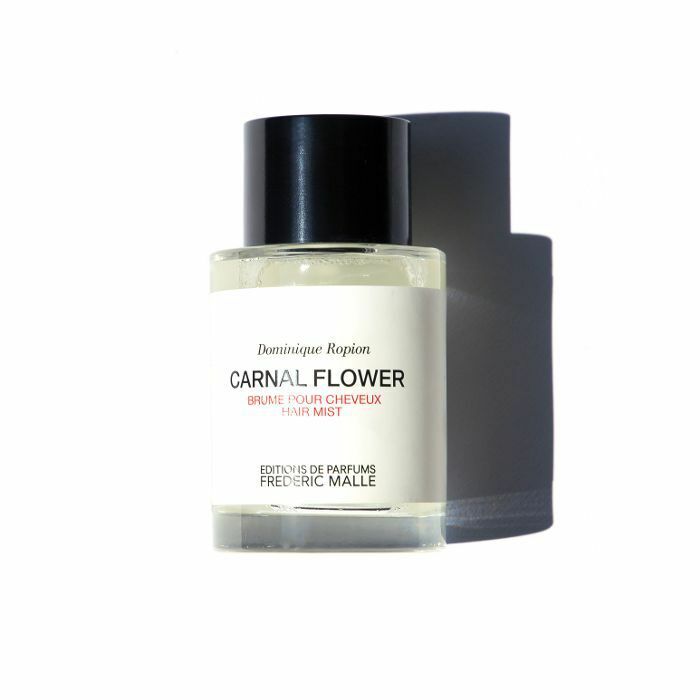 I think the rest of Team Byrdie can back me up on that—Carnal Flower is unofficially our official scent, after all. What scent always earns you a ton of compliments? Call it out in the comments below!